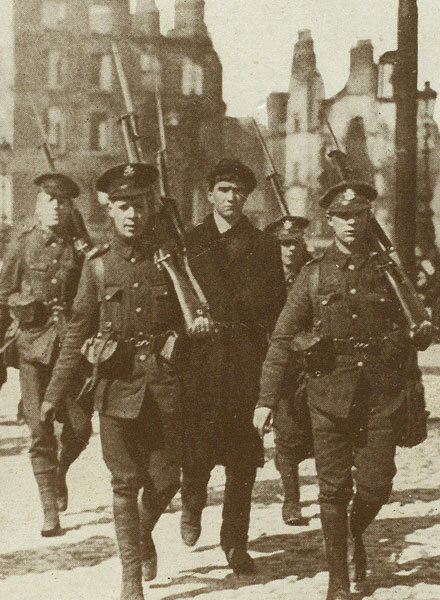 With increasing amounts of British troops pouring in to Dublin, the rebels' positions became impossible to hold. On Saturday 28th April the leaders of the uprising were forced from the General Post Office and had to agree to an unconditional surrender. 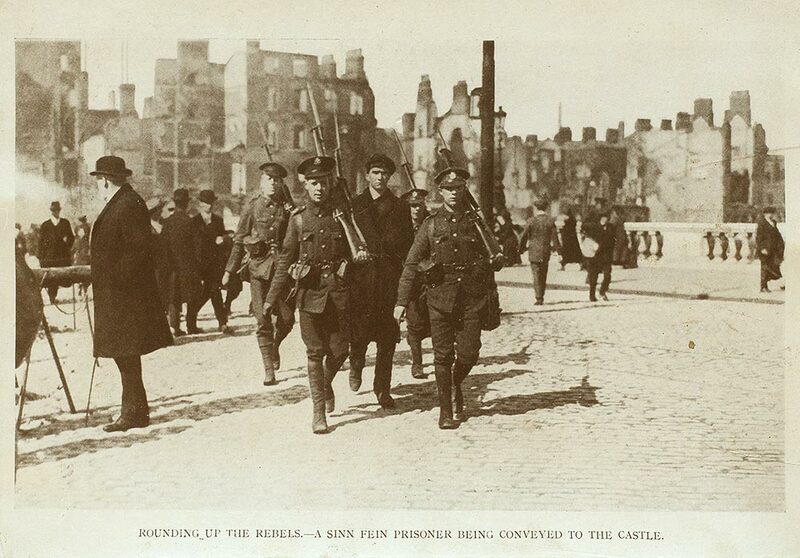 The next day they were marched through the streets of Dublin and jeered by the crowd. Damage to central Dublin totaled £2.5 million, about 500 British soldiers had been killed and over 1000 civilians. The surrender of the leaders was followed by large scale arrests. Fifteen of the leaders were tried in secret and executed, including James Connolly and Patrick Pearse. Connolly had been so badly wounded in the uprising he had to be tied to a chair in order to be shot by firing squad. Nationalist opinion, which had been so against the uprising, turned to sympathy because of the treatment of the rebels. It was felt that the British had been heavy handed and that there should have been at least a public trial for the leaders. Within days, the rebels had gone from being seen as villains to being hailed as martyrs by many Nationalists.